Simone assisted the clients of Toorak residence with loose furniture, lighting, art and object. 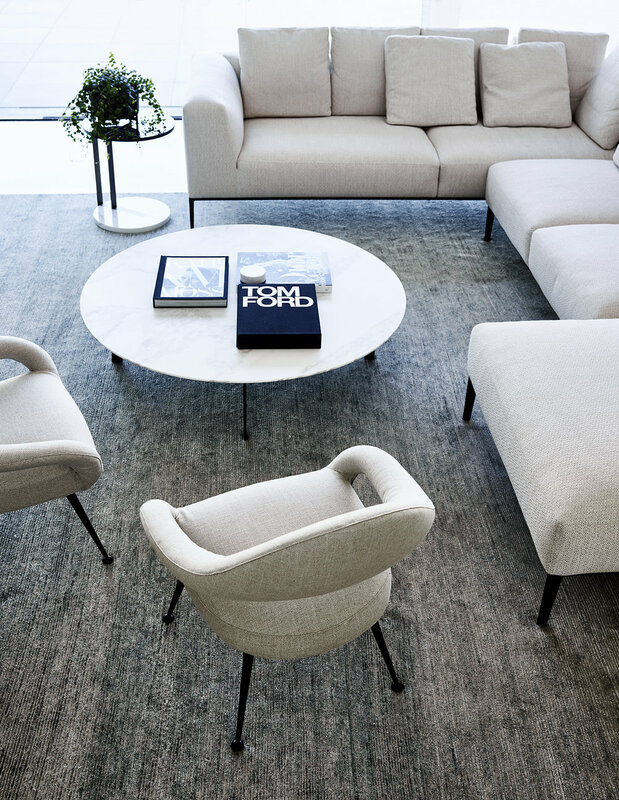 The Friends and Founders La Pipe chair and stool were the starting point for this project and offset beautifully by the solid marble table and Trevor Mein photographic works. Small touches of stone, brass and linen were integrated into the furniture and objects. The most fun however, was had in the study – where marble wallpaper, a marble pendant light and leather furniture from the Baxter collection created a masculine yet interesting work retreat. Along with furnishing the outdoors, Simone also sourced vintage pieces for this project – such as the Italian 50’s stone table which creates the perfect entry statement for this home.